I wish you could experience the richness, perfection of timing and incredible way in which the Lord pours out His love very personally to each of us. If you aren’t experiencing this in your life, please… get to know Him, as He desires to know you and walk with you in this way. This past week marked the start of a “new” study for me. It’s a new study with a group of 23 women, but I did this study over a decade ago, shortly after I entered into a personal walk with Christ. I don’t remember much from it, except that it left me with a few incredible impressions about how God’s Word was completely woven together, and that His love and His message to us is poured out very intentionally in Scripture. 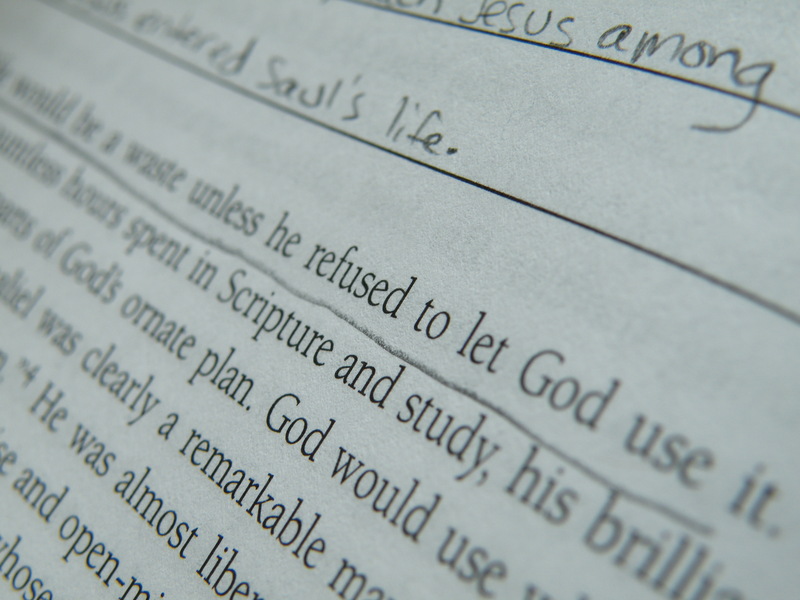 This morning, as I was working on Day 3 of the study, this sentence was on the page about Saul (who was later known as Paul): “NOTHING in Saul’s life would be a waste unless he refused to let God use it.” …and, yes, that word is in all caps in the workbook. I SAY this a lot, but I needed to HEAR it this morning. Once again, the Lord showed up to give me a loving encouragement. He did it by using Beth Moore’s words on a page, right after I read Paul’s words from His Word in Galatians. What she said in this sentence… this concept… these words… somehow, has infiltrated my life (maybe it started when I did this study years ago…I don’t know…), and it is now a part of who I am. But it doesn’t stop there… Because of His amazing presence in my life, I’ve incorporated those words and woven them into His words and His promises for all of those who love Him (Romans 8:28). The Lord truly does waste nothing. Every single thing we experience in life is something He has the capability to use for our good and for His glory, if we will only submit to Him and allow Him to do so. There’s an action step here. I see it. Do you?